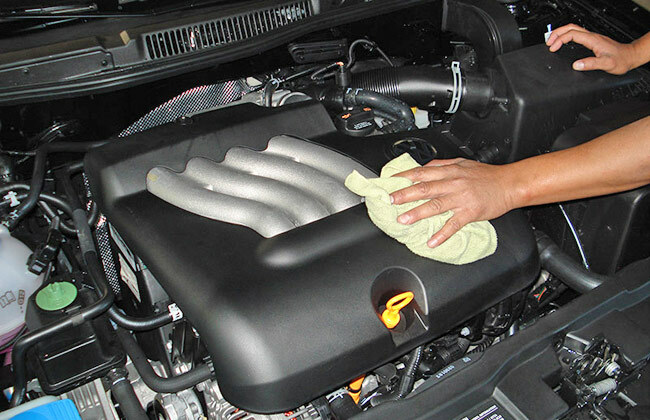 Spring Cleaning for Your Engine! We understand. Your car’s grimy, greasy engine is probably not your favorite thing to clean. Trust us, we know very well just how dirty a car can get! But Spring is here, and that means spring cleaning -- even in those automotive spaces that you might usually brush off. In our opinion, there are very few places that are more important to your safety than the engine of your car. A dirty engine can mean an unsafe engine. So, here’s a few suggestions from your friends at D&K Automotive for keeping your engine clean! Get an oil change. We simply can’t say enough about the importance of regular oil changes. Whether you do it yourself or bring your car in so we can take care of you, it’s vital to increase the longevity of your engine and car. Check the oil. It’s a quick and easy one to check off your list, but important nonetheless. Grab some motor oil at your local gas station that matches the type inscribed on your engine cap, check the dipstick, and continue your drive. Good old fashioned scrub. This is the time of year to take out all the leaves and twigs that have accumulated under the hood, and wipe down all the muck you can safely reach. Remember to let the engine cool first! Finally, bring her in for a full check-up. At D&K Automotive, we’d be happy to take a look and make sure you’re driving safe for the rest of the year. If you’d like to know more about automotive ownership and maintenance, you’re in luck because it’s our favorite subject! Give us a call or schedule an appointment. We’ll see you soon, in the meantime, drive safe!